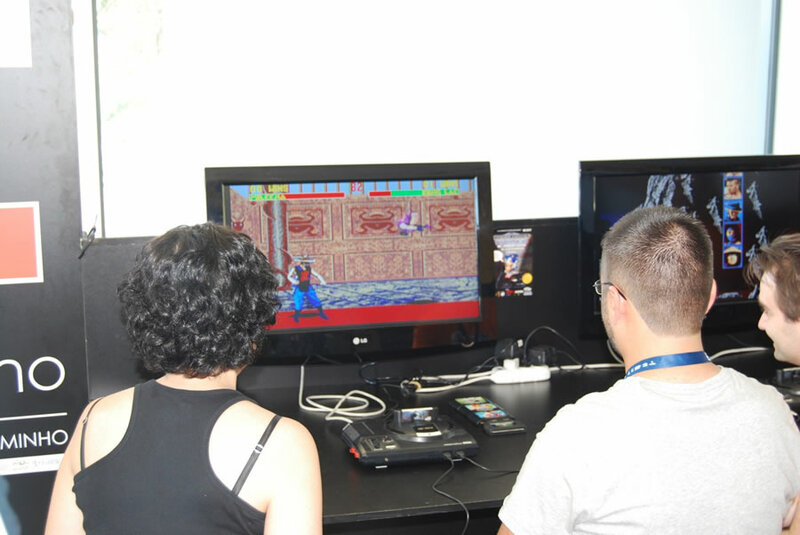 The Esprominho Professional School of Minho, hosted the first Sega Mega Drive Tournament on Saturday, June 16, in Braga, Portugal. It featured not only the presence of 16 participants from various cities but also many curious people who took the afternoon to relive the past. 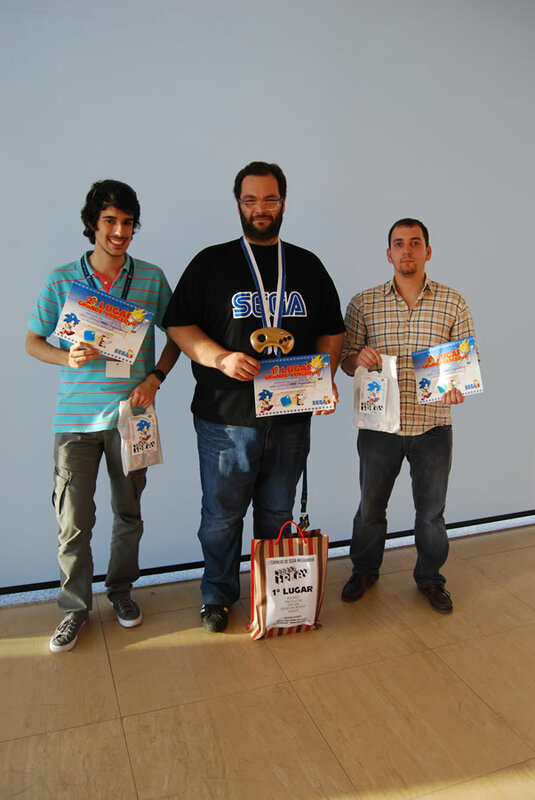 After four hours of competition playing Micro Machines 2, Mortal Kombat II, Sonic The Hedgehog 2, Italia ’90 and Street Fighter II, the award was presented to António Paula, the big winner. In the second and third places were, respectively, André Castro and André Costa. 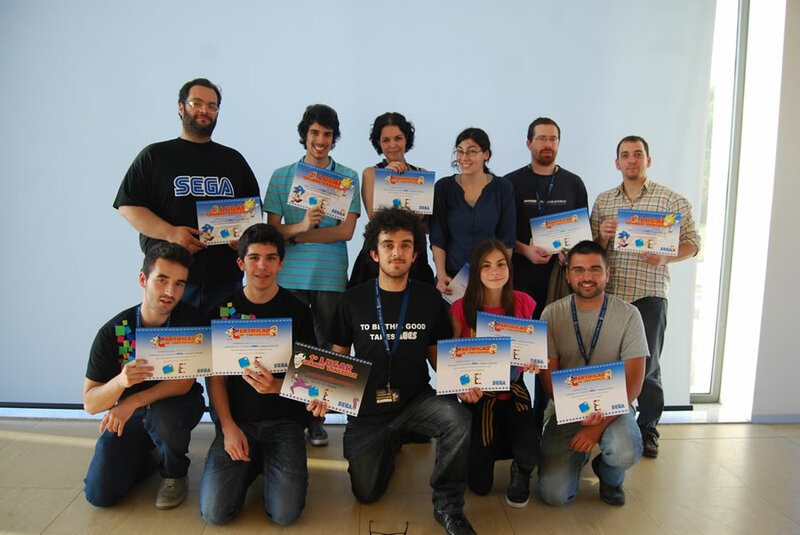 Regarding each game of the competition, André Costa won the Micro Machines 2, Susana Vieira won the Mortal Kombat II, André Castro won Sonic 2, and António Paula won the Street Fighter II and the Italia ’90 games. 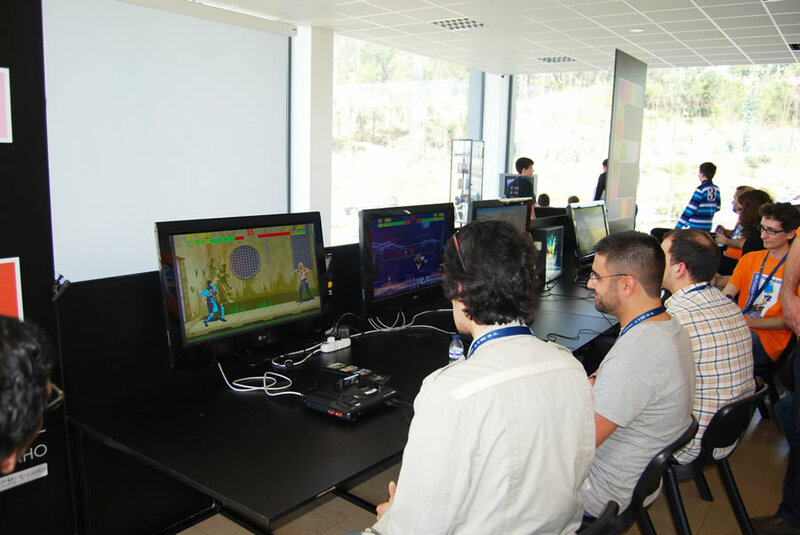 This tournament was organized by the team of the Portuguese website Não Percas, which tried, in collaboration with various partners and support, to make an event for fans of Sega Mega Drive from fans of Sega Mega Drive. Despite all the work and the many hours spent on this event, Nuno Cunha, one of the founders of the organization, ensures that the final result lived up to expectations. 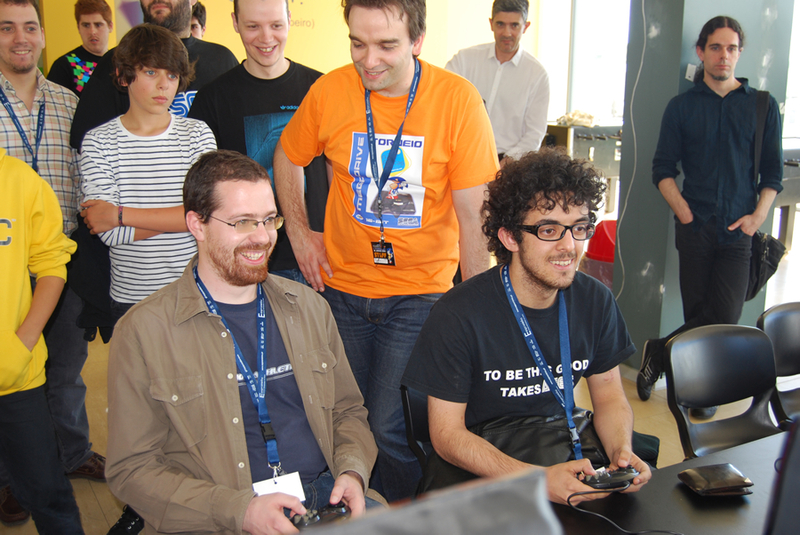 “Not only did the 16 vacancies fill,” he explained, “we also had many visitors pass through Esprominho who had the opportunity to participate in a parallel challenge called the ‘visitor’s tournament.’ The tournament consisted in getting the best time on a track of the classic game Virtua Racing. António Paulo Teixeira was the winner of this challenge. At the end there was still time for a surprise game for the tournament participants. The “Joker Challenge” was a small tournament in which the player was invited to “survive” as long as possible in the game Contra: Hard Corps, for the Sega Genesis. This challenge was won by Bruno Alves. One of the main peculiarities of the tournament was manner in which the winners progressed. To be eliminated, each participant would have to lose twice. “We wanted it to be a fair tournament and in which each person would have a second chance to play and wouldn’t be eliminated right at the beginning. It was unfair and demotivating that two major players would come across at an early stage,” Cunha explained. 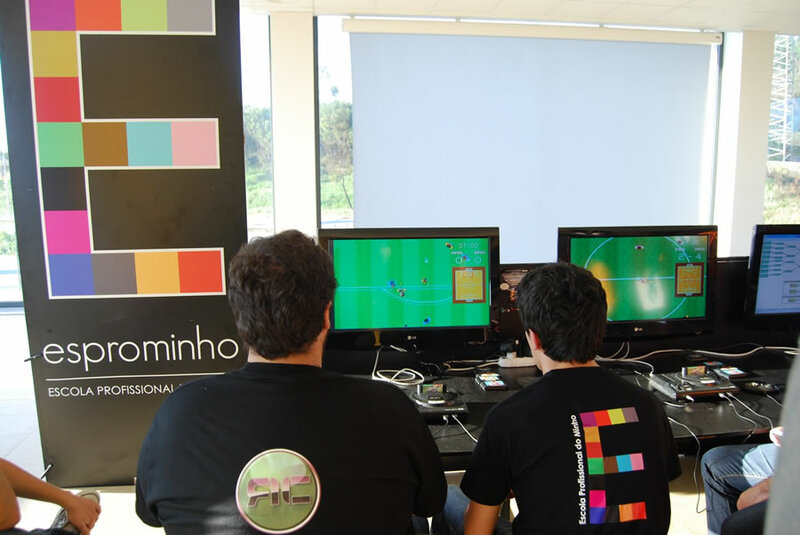 The success of this inaugural tournament was such that Nuno Cunha ensured the realization of a future one dedicated to this and other consoles. At the end of the tournament, prizes were distributed to the winners, all kind gifts from the Portuguese store “Press Play.” The first place received a Mega Drive console with a game, a t-shirt and a trophy in the form of a command gold, with design by Ana Cunha. The three winners felt quite positive about their presence in the tournament. António Paula, the biggest winner and originally from Maia, confessed that he decided to take part in the event with the “pretext” of mingling with people who like the Sega Mega Drive, which is his “brand of choice.” Given that today we no longer speak of these games and Mega Drive, he considers it important to conduct events that are dedicated to lovers of the console. André Castro came from OPorto to participate in the tournament, eventually conquering second place. To date he only had entered competitions held by “Press Play.” He was very pleased by the end of the afternoon. The young man said that Sega was the passion that led him to travel almost 50 kilometers and promised that if the initiative is repeated, he will not miss it. The third-placed Andre Costa, from Braga, also considered the tournament to be fun, and it was precisely in order to have fun that he signed up for the first time in this contest. Overall, everyone had a great time and can’t wait for next year’s competition. See you all then!